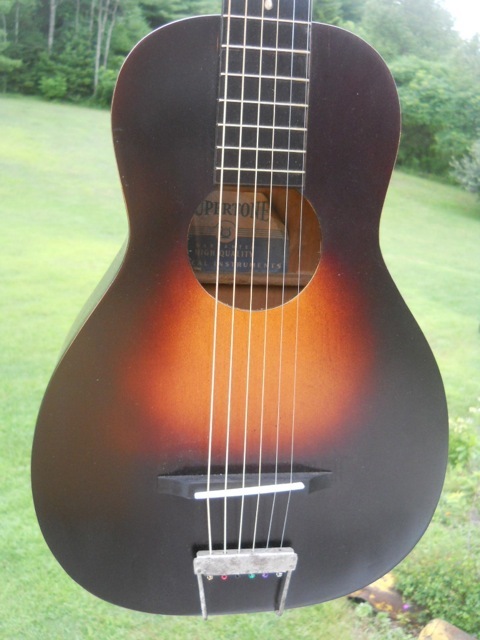 For several years I've had a Link on Juneberry78s to Steve Chipman's VintageParlorGuitars.com website. I had always enjoyed viewing his inventory of vintage guitars and reading about the ones that he has restored.. I knew his prices were for the working man so I began the process investigating a purchase from Steve about a month ago. 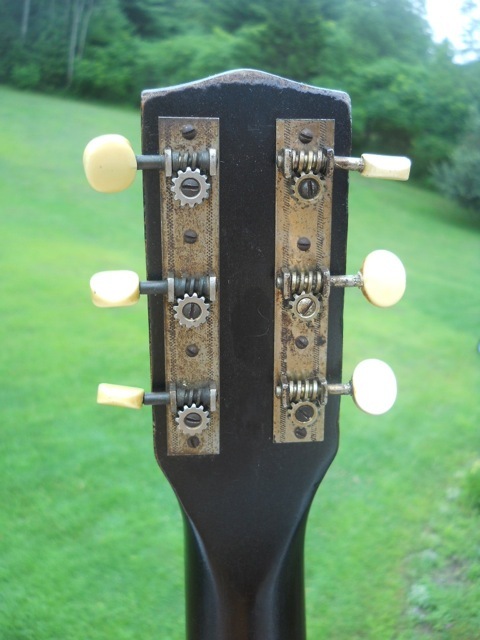 What I wanted was a small body, ladder braced guitar with 12 frets to the body - like those most of the old Early Blues and Old Time Artists used. Steve was very accommodating providing me with pictures and sound clips of guitars based on my request. 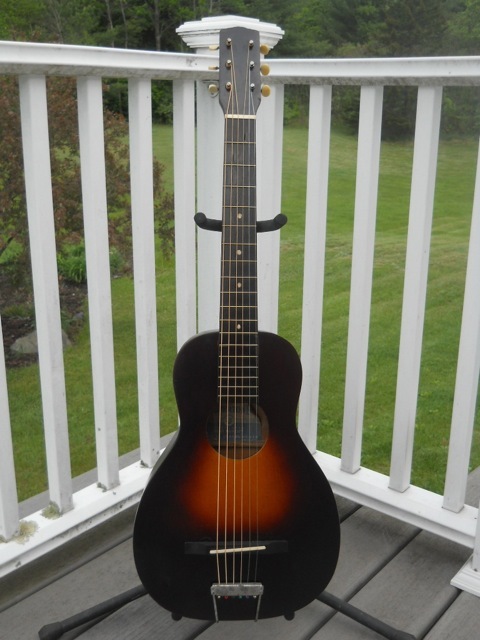 The instrument that appealed to me the most was a 1938 Supertone made in Chicago by Harmony. 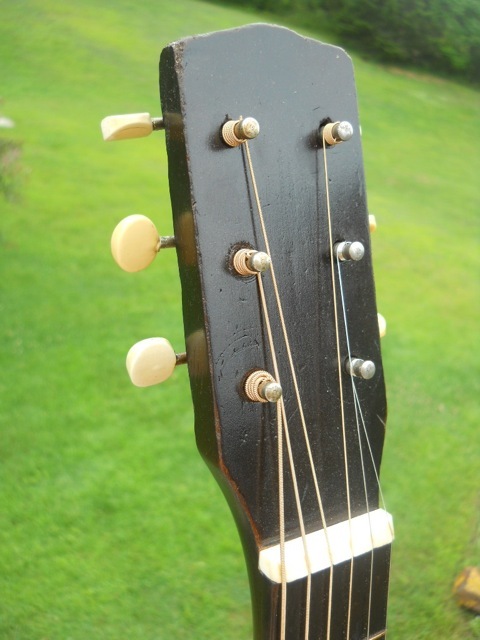 It is 0-sized, 12 frets to the body, ladder braced, all birch body with a tailpiece and a floating bridge. Steve sent me the guitar on approval, he wanted me to be absolutely sure that I wanted to keep it before paying for it. I tried out the guitar and was surprised that a small guitar had so much volume. Must be the 75 year old aged wood. I enjoyed playing the guitar after getting used to the baseball bat like neck. 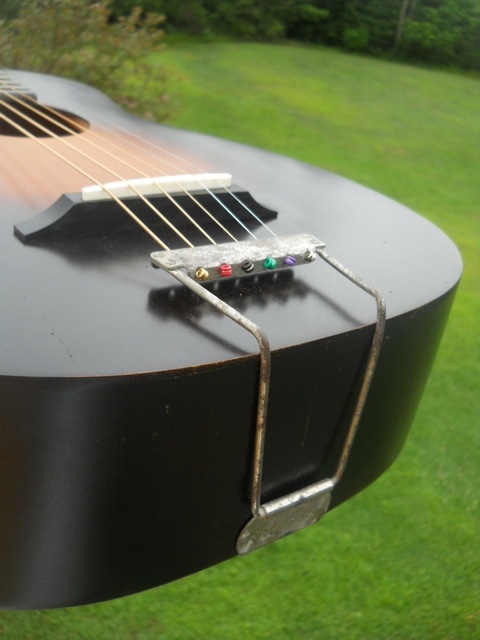 Steve supplied two bridges the lower one for finger picking and the higher for flatpicking. After about one week I decided to keep the guitar, sent Steve a check and I now own it. Steve recommended an eBay seller that carried 3/4 size Hard Shell Cases and I ordered one. 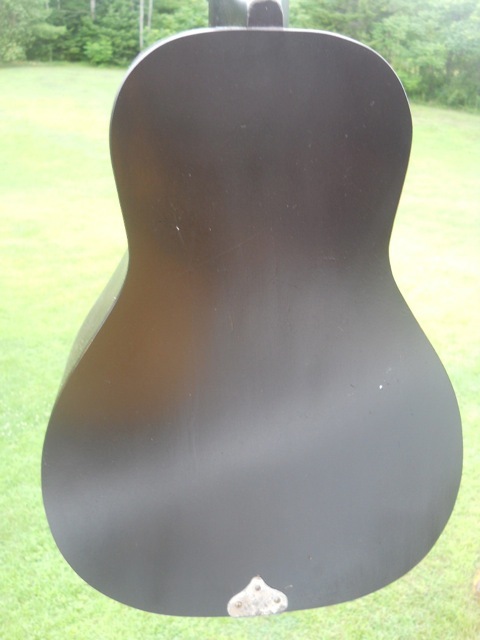 Here are a few pictures of the guitar. Here's an interview with Steve discussing his parlor guitars.